Though quite the buzzword over the past several years, MIMO hasn’t been all hype. It can deliver real, tangible benefits to the end-user. The truth is, it’s not necessary for an IT manager to understand the intricate details of how MIMO works–since it should “just work” and make wireless networks faster and more reliable. 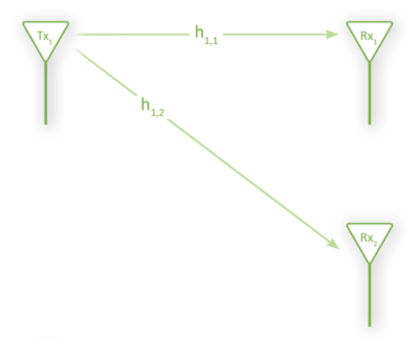 However, an understanding of terminology and techniques used in MIMO will minimize confusion and lead to more informed decisions regarding MIMO products and, ultimately, the performance that should be expected from them. MIMO: The More the Merrier? MIMO stands for multiple-input multiple-output, where multiple refers to multiple antennas used simultaneously for transmission and multiple antennas used simultaneously for reception, all over a radio channel. And what is the channel? The channel can be generally summarized as the radio environment between the transmitter and receiver. It includes the antennas, and for this discussion we will simply focus on the number of transmit and receive antennas and not on their particular characteristics. Therefore, “multiple-input” refers to multiple transmitter antennas, since they input a radio signal into the channel, and “multiple-output” refers to multiple receiver antennas, since they take output from the channel and into the receiver. What if there is only one receiver antenna? This is then “single-output,” and we can have a multiple-input single-output configuration. 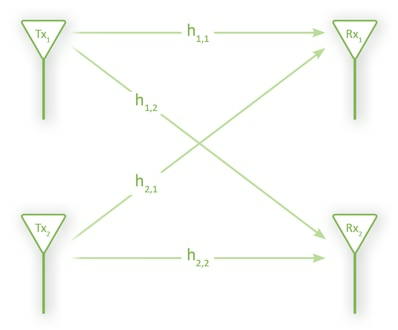 Commonly used terms such as 2×2 MIMO refer to a configuration with two transmitter antennas and two receiver antennas. This can be generalized by describing an NxM system, where N is the number of transmitter antennas, M is the number of receiver antennas, and N is not necessarily equal to M.
One might wonder why it is desirable to add more antennas at all. How many antennas should the transmitter and receiver have? Is it simply a case of “more is better”? Broadly speaking, adding more antennas on the transmitter or receiver can be used to improve link quality and reliability, throughput between the transmitter and receiver, or both. One primary reason to use multiple antennas is to improve link quality and reliability. Diversity uses two or more antennas on the transmitter and/or the receiver. For example, a basic form of receiver diversity is done by placing two antennas at a certain distance from each other, and because of the difference in physical location, each receives a slightly different version of the signal sent by the transmitter. The receiver mathematically combines them to form a better estimate of the transmitted signal than if it had only one receive antenna. In figure 2, below, each receiver antenna, Rx1 and Rx2, has a slightly different version of the signal emitted by the transmitter antennas. This technique is also called spatial diversity because the receiver antennas are spatially separated from each other. Conversely, a system can employ spatial diversity with more than one transmitter antenna by separating them at a certain distance that has desirable effects. The transmitter sends its signal over both antennas (in figure 1, Tx1 and Tx2) and therefore the signal has spatial diversity. In many cases, the transmitter won’t send exactly the same signal to each antenna, but rather will modify the signal so it is transmitted slightly differently from the second antenna. Examples of this are delay diversity and space-time block coding, in which both antennas transmit their own version of the signal as modified by a special mathematical matrix. Both transmit and receive diversity can increase the reliability of the link between the transmitter and the receiver. This is important especially for channel conditions that are noisy, have fading, or are otherwise challenging. It can also have the secondary effect of increasing the usable range between the transmitter and receiver by requiring less repetition of data due to loss or damage during the delivery process across the channel. Increasing reliability is definitely desirable in today’s crowded and often interference-prone networks, and using multiple antennas for diversity helps us get there. But it’s the quest for increasing bandwidth that seems to never stop, so how do we increase the throughput between the transmitter and receiver? For this we turn to spatial multiplexing. Spatial multiplexing is a multiple antenna technique that increases the data rate as compared to single antenna techniques. Theoretically, spatial multiplexing can increase the capacity of the system as pairs of transmitter and receiver antennas are added to the system. The source data (usually data requested by the user) is split into two or more independent data streams that are transmitted over multiple antennas, called spatial streams. A common configuration is the previously mentioned 2×2 MIMO system. In this case the throughput is theoretically doubled compared to the single antenna configuration. There are some assumptions about the channel correlation conditions and necessary signal-to-noise ratio (SNR) required to approach this increase in throughput, but these topics are best left for another day. In the NxM configuration the maximum number of spatial streams is limited by the lesser of either N or M. If there are three transmitter antennas but only two receiver antennas, there will be a maximum of two spatial streams supported by the system. The IEEE 802.11n standard allows for two spatial streams in 2×2, 3×2 and 2×3 configurations. Since these all support two streams, they have equivalent capacity, but the 2×3 and 3×2 configurations have higher diversity. For an even higher increase in capacity, the 802.11n standard also defines 3×3 and 4×4 configurations, with three and four spatial streams, respectively. Meraki makes several wireless access points with MIMO, such as the Meraki MR16 Cloud Controlled Access Point, with dual-band, dual-radio 802.11n including 2×2 MIMO. 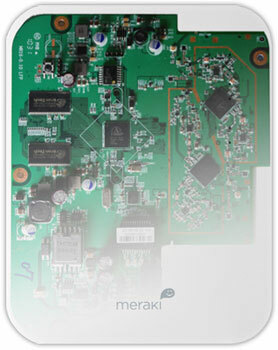 More information on Meraki’s wireless access points is here: http://meraki.com/products_services/enterprise. Multiple antennas in 802.11n can use diversity to increase the reliability of a connection. Throughput can also be increased through MIMO spatial multiplexing. There are many other aspects to consider about MIMO, such as channel conditions and quality, channel knowledge, feedback systems, antenna design, algorithm design and considerations, and others. In addition to multiple antenna techniques, there are other methods to increase throughput. For example, 802.11n allows for wider channel bandwidth configurations than previous versions of 802.11. To learn more about 802.11n, see Meraki’s 802.11n white paper. Other white papers and material can be found at Meraki’s collateral library.